For more than 65 years, HCC has committed to providing its clients with proven value and extraordinary results. With approximately 20 attorneys working in Rhode Island, Massachusetts and Connecticut, HCC is recognized as a leading litigation firm. The firm works with its clients in diverse practice areas including business and corporate litigation, construction, employment and labor law, environmental and toxic injury, family law, insurance, negligence and premises liability, product liability, professional liability, transportation and workers’ compensation. In addition, HCC provides its corporate and individual clients with business advice and counseling regarding Medicare compliance, real estate issues and trusts and estates. HCC understands that in order to achieve extraordinary results, it must fully understand the client’s goals. Such an understanding requires a high level of communication. Once the goal is set, a plan is developed with input from the client and executed with the highest degree of diligence. 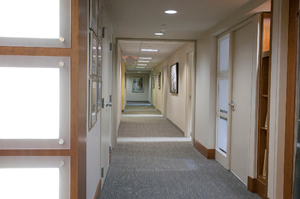 HCC is committed to advancing its clients’ positions in all areas of its practice. As a result, attorneys in the firm are members of Defense Research Institute, The Product Liability Advisory Council, Defense Counsel of Rhode Island, The National Retail and Restaurant Defense Association and the Estate Planning Council of Rhode Island. HCC is also a member of the prestigious ALFA International. ALFA International is a global legal network founded in 1980. ALFA is comprised of 145 member firms including 80 U.S. firms and 65 firms in Canada, Central and South America, Europe, Asia, Australia, New Zealand and Africa. As a result, HCC can offer its clients truly global representation whenever and wherever the need exists. In addition to litigation and counseling services, HCC advises clients on an array of issues including document retention, electronic discovery, and recalls. In addition, attorneys at HCC are noted speakers who are called upon to present seminars on topics relevant to their areas of practice to other attorneys. HCC also provides in-house education to its clients in substantive areas of law applicable to the clients’ needs.